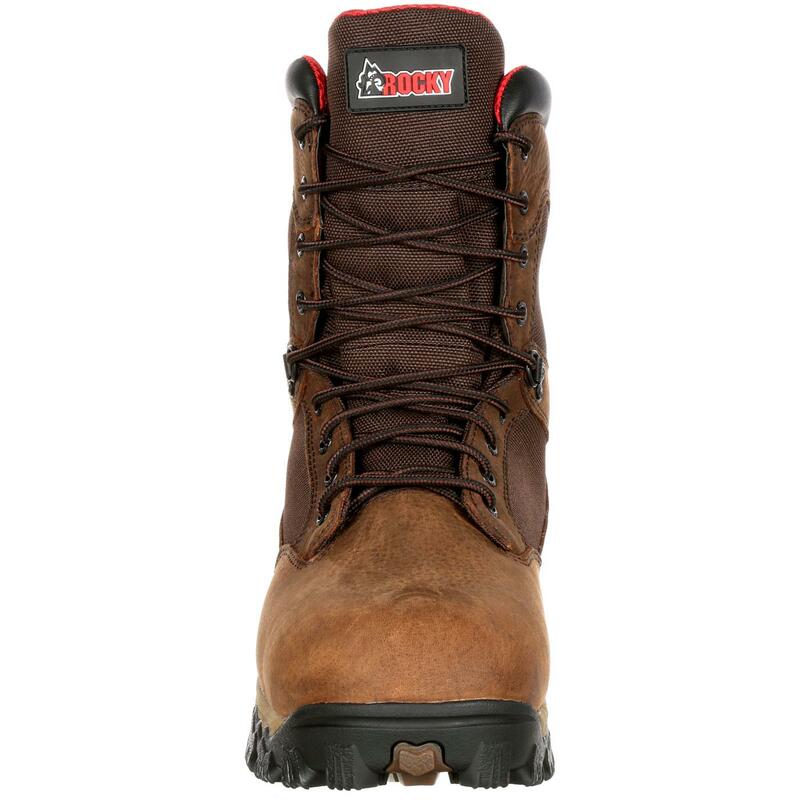 Get the Rocky® AlphaForce Composite Toe Waterproof Insulated Work Boot. This footwear gives you comfort, safety and performance to go all day. 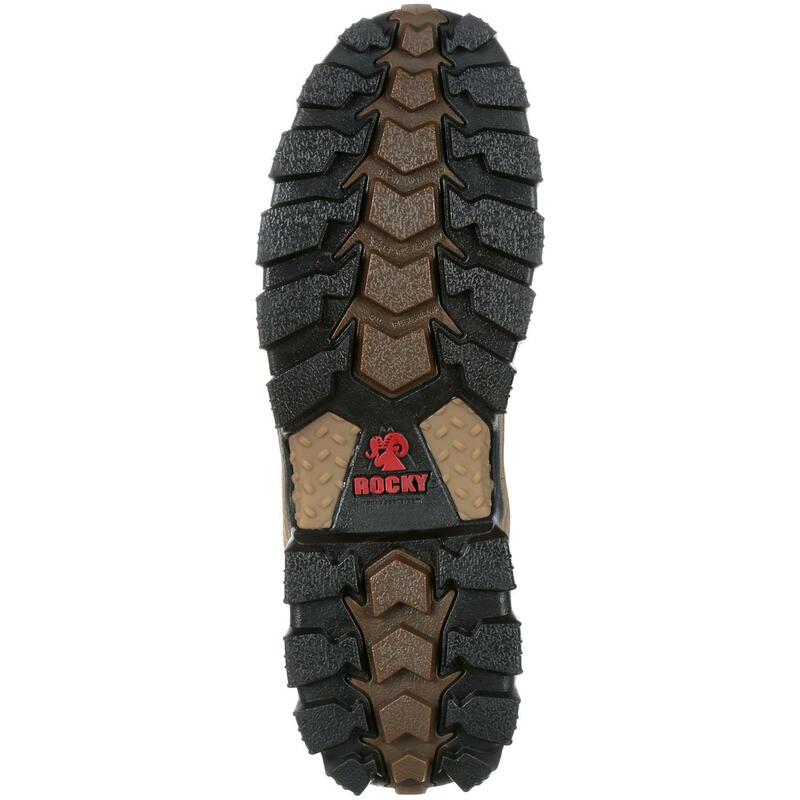 Rocky gave this men's work boot the RigiTrac™ outsole. That means this is a boot with great traction. It's also slip-resistant and oil-resistant. Another feature that gives you agility is the light cement construction. This makes the footwear flexible to move with you. This combination of sole and construction supports quick moves and bends. 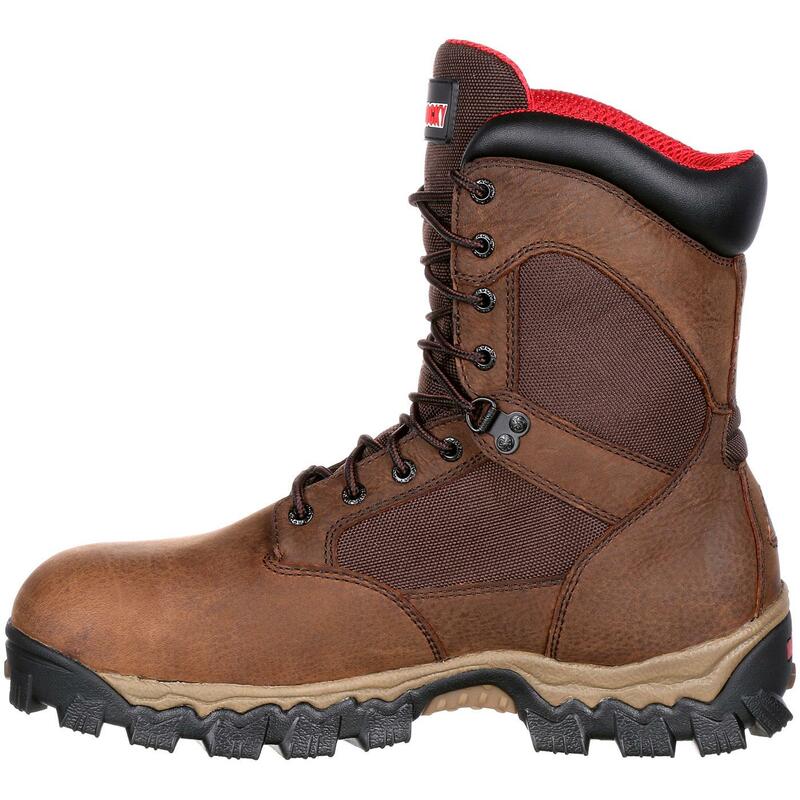 This comfortable work boot gets you through your day. Rocky included the Rocky Air-Port™ cushion footbed. It's molded from durable polyurethane that never breaks down or loses its shape. It circulates air with every step. 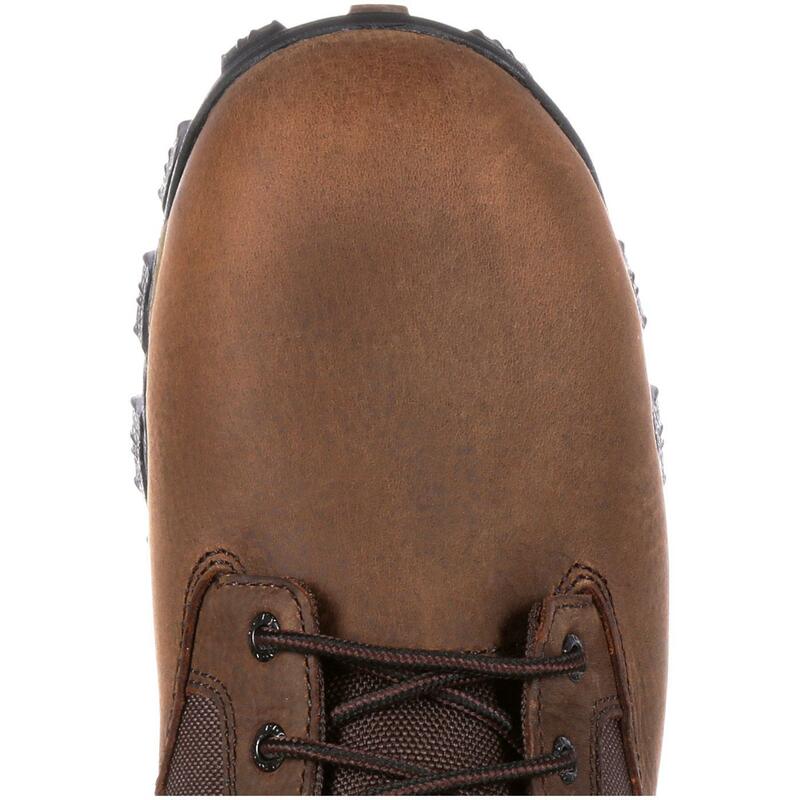 Your feet are guaranteed to remain dry as you trudge through rain and mud because this waterproof work boot has Rocky Waterproof construction. It's guaranteed to work. 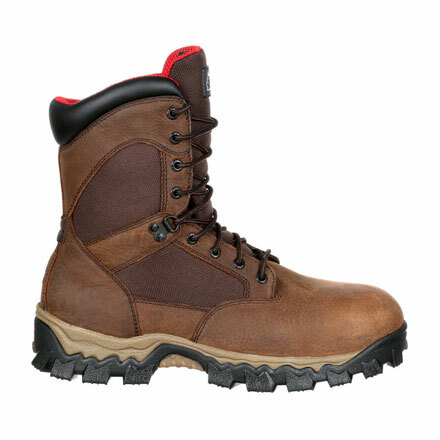 You'll also be warm with 600 grams of Thinsulate™ in this insulated work boot. Frigid temperatures won't stop your progress when you're wearing this footwear. 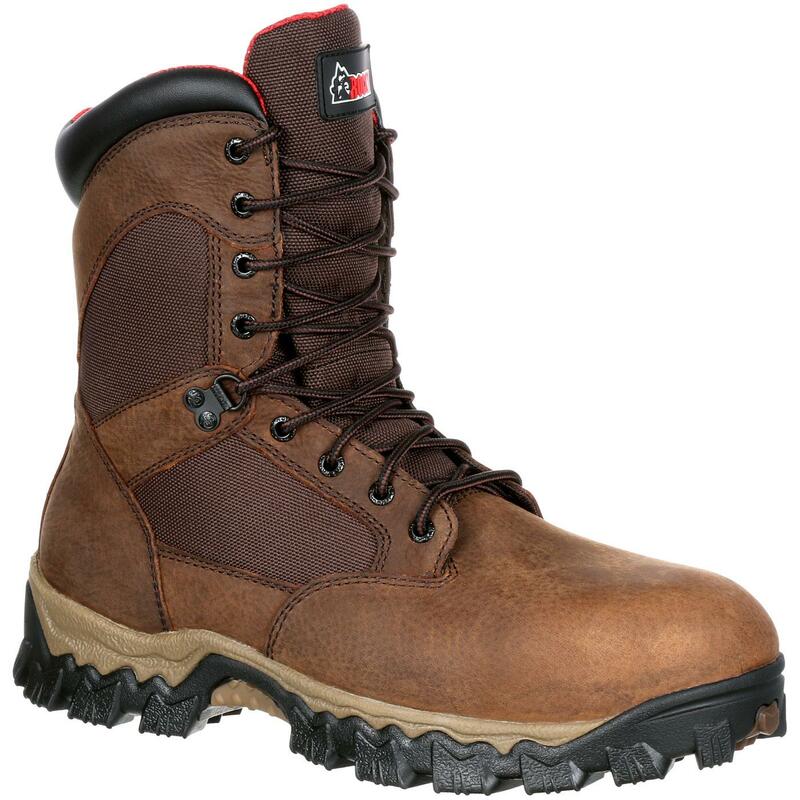 Made of full-grain leather and abrasion-resistant 900-denier nylon, the brown work boot has the safety features you want. The composite toe protects you if something falls on your toes, up to 75 pounds of impact and compression. 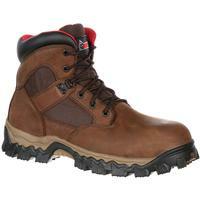 This construction boot also is electrical hazard resistant. That means it provides a secondary source for reducing the risk of electrocution. 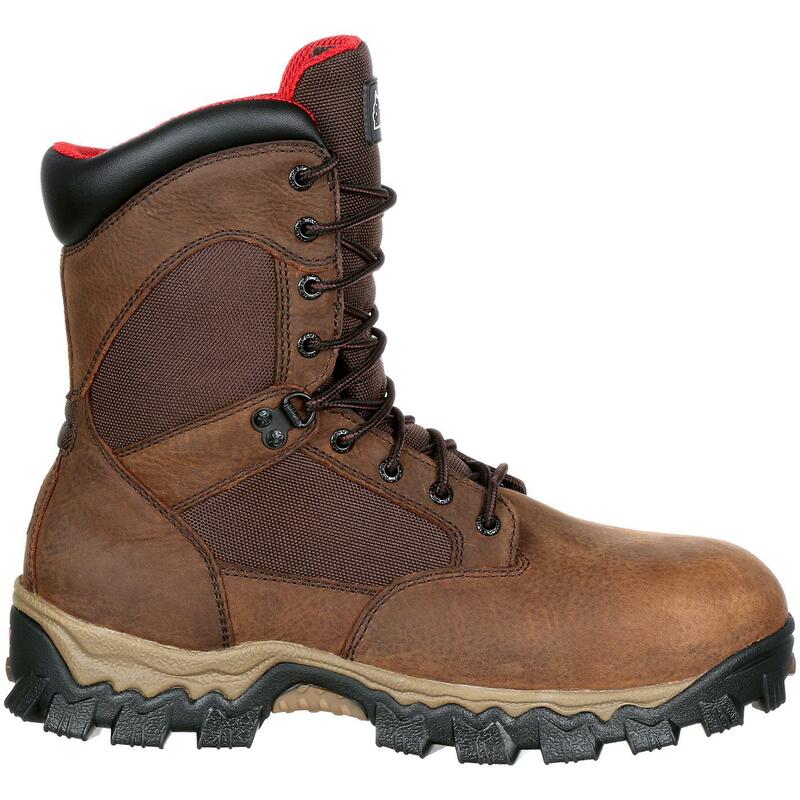 The work boot meets the ASTM standards for both features. 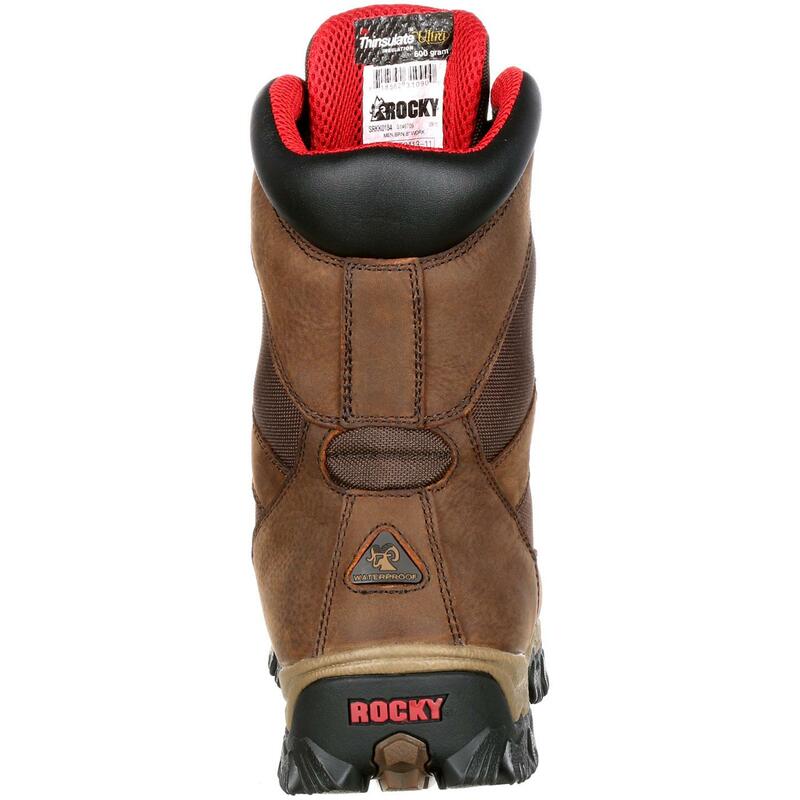 Rocky gives you the men's boot that helps you get the job done. Get this Rocky boot. 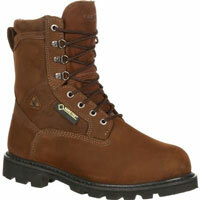 Rocky AlphaForce Composite Toe Waterproof 600G Insulated Work Boot is rated 4.0 out of 5 by 25. Rated 1 out of 5 by T6guy from They’re water proof. That’s about it. I’ve had theses boots for 7 months. I’m an aircraft mechanic. I expected a lot more durability out of boot for the price of them. The leather near the sole on the back is beginning to rip, the material on the inside where the heel is, is shredded, and the shoe laces broke about two months ago. The toe of the boots are pretty worn as well. I will admit they are water proof but that is the only positive. I won’t be buying these again. Rated 5 out of 5 by Adams from Great boot Great fitting and really comfortable!The only boot I've found that I can wear comfortably! that's for making great boots! Rated 3 out of 5 by Sawman from Not what the site said it was. The site states 800 gr insiulation, WRONG. They are 600gr! They are tight in the toes. If you purchase, buy 1/2 size big. Not that warm, not that comfortable. I was disappointed, they don't compare to the Rocky Govenors I purchased last year. Rated 4 out of 5 by Joexxx from nice boot These have been a good boot so far. I've had them for a month & I wear them at least 50 hours a week. They are comfortable & very warm. My only complaint is that they aren't the easiest to get on & off. They could use shoelace hooks for the top few spots instead of eyelets. These are my third pair of Rocky's & will definitely own more. Rated 2 out of 5 by Jamesj from An ok boot I bought these earlier this year and am now ready for new ones already. The soles/support on the inside has become little to none, after two months I had to purchase Dr. Schols inserts to just be half way comfortable in the boots. The leather outside held up fairly well but, is start to deteriorate.